Product Details - Material - Plastic swing Door, Use -A perfect starter for kitten toilet training Toilet home, Suitable - kittens and small cats, Colours- Twilight Blue. 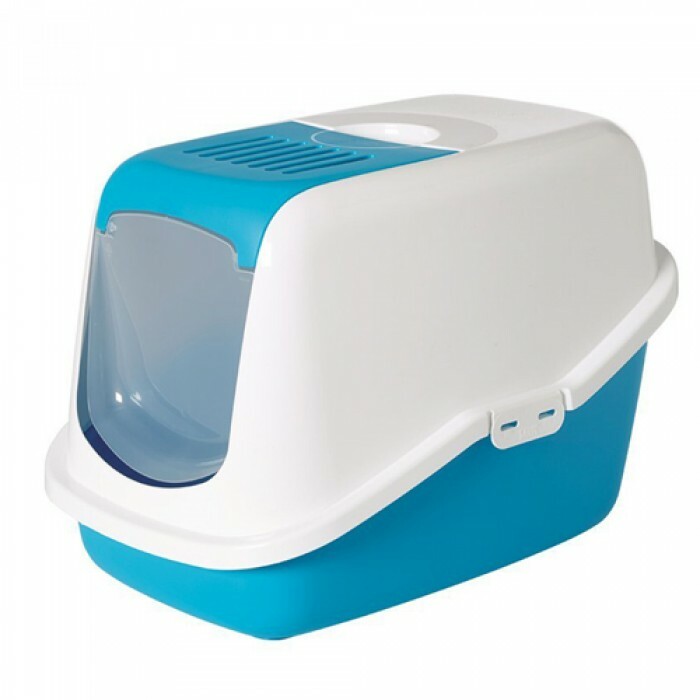 Product Information-Hooded toilet home with folding front, easy to clean, with built-in handle and filter, A bright, modern-looking, litter box with tall sides and top opening for quick and easy cleaning. With an active carbon filter.